"DARING in its realism. STUNNING in its impact. BREATHTAKING in its scope." This is a dramatic movie about a family that is uprooted. A woman decides the family will move to the city where her youngest son lives. When she decides it is time to make a move, her four boys that are still at home go with her. She wants all of her children in one city. Each of them has to leave their job to make the move. It takes a bit of work, but every one of the sons eventually finds work. Things are beginning to settle down and life becomes normal. Then, two of the brothers fall for the same woman. 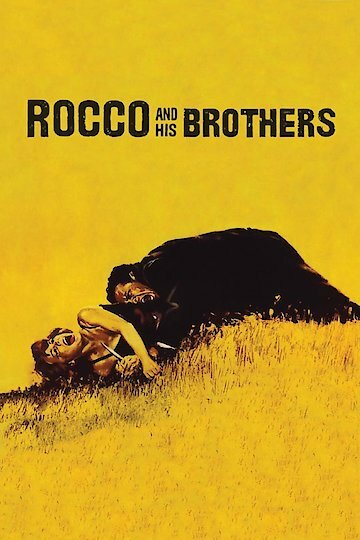 Rocco and His Brothers is currently available to watch and stream, buy on demand at Vudu, iTunes, YouTube VOD online.